In March, Splendid Cinema has two great film offerings for you! Remember those Orange ads last year where the Orange team re-subtitled a some French farce with Depardieu & Deneuve? 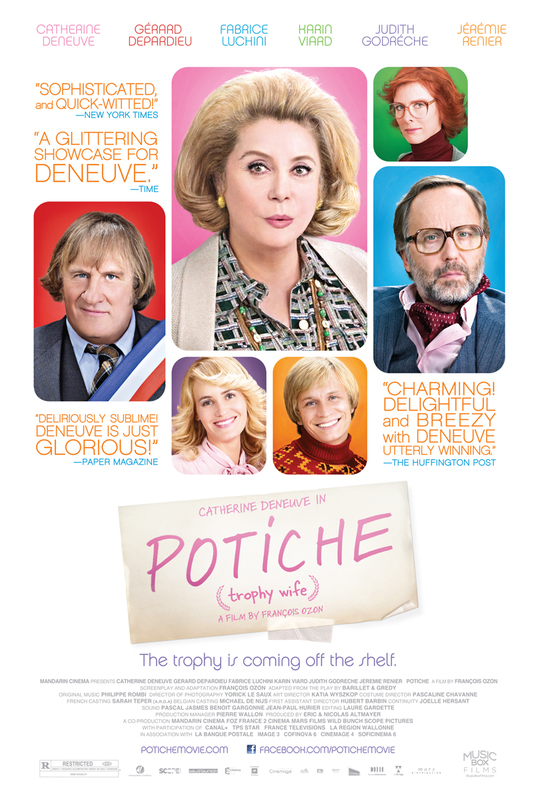 Well, on 11 March, Splendid Cinema is pleased as punch to be screening that film, Potiche, directed by the great François Ozon! 11 March, 2012: Potiche (François Ozon, 2010, France) 15 cert. Marvellous French farce starring the radiant Catherine Deneuve as the ‘trophy wife’ who takes over the umbrella factory her family started when her husband is taken ill. Putting down a strike at the factory with common sense and decency, Deneuve starts to rekindle her old flame with the Assistant Mayor, played to comic perfection by Gérard Depardieu. In French with English subtitles. We follow Ozon’s delightfully frothy Marxist farce with the remarkable directorial début of actor/writer (and Stoke’s own!) Paddy Considine in the gritty, powerful and utterly brilliant, Tyrannosaur. 25 March, 2012: Tyrannosaur (Paddy Considine, 2011, UK) 18 cert. Staffordshire-born Paddy Considine’s feature film debut is a powerful and violent tale of revenge and redemption that many are hailing as the best British film of 2011. 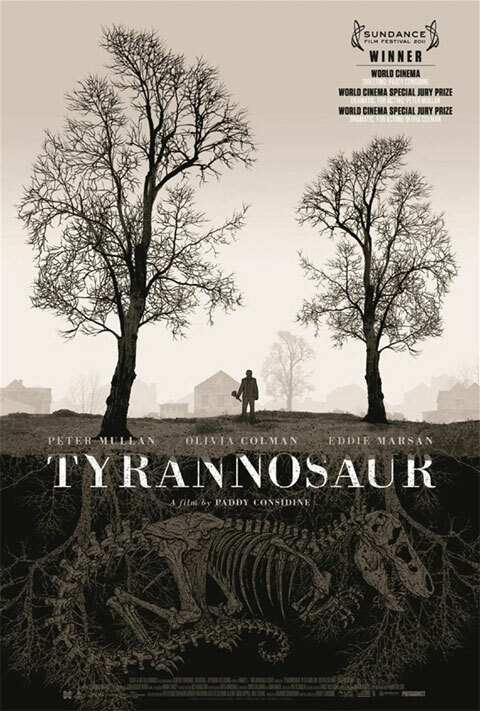 Much like the films of Shane Meadows, whom Considine worked with on Dead Man’s Shoes, Tyrannosaur is part of the New Midlands Brutality film movement. This is a film not to be missed. Rutger Hauer paints up a storm playing Pieter Breugel the Elder in The Mill & the Cross, and then we go all Nordic Noir with the Swedish blockbuster, Snabba Cash. Details to follow! We are an independent film society run out of the Worcester Arts Workshop (21 Sansome Street, Worcester, WR1 1UH). We screen contemporary world cinema releases which have not played commercially in either of our two multiplexes. We also, in particular, are interested in locally produced independent films where the director (or other cast or crew members) attend for a Q&A with our audience. Our screenings are approximately every other Sunday; box office opens at 7:00pm and the screenings start at 7:30pm. Ticket prices are £5 on the door.